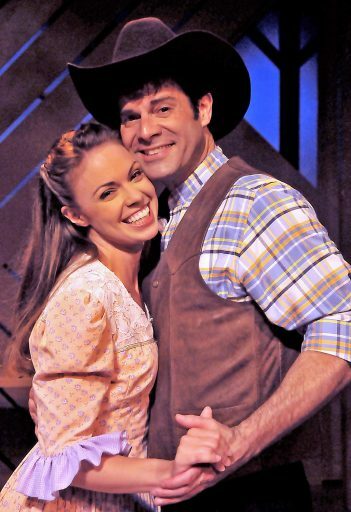 Krista Severeid and Tony Lawson appear as Adam and Milly in “Seven Brides for Seven Brothers.” (Submitted photo). Beef & Boards presents the classical musical, set in 1850 in Oregon Territory, for the first time since 2009. 8 p.m. Aug. 30, 31, Sept. 1, 4 8 p.m., 1:30 p.m. Sept. 2. “The Music of Tom Petty with Southern Accents,” Symphony on the Prairie, Conner Prairie, Fishers. A team of talented musicians from the Nashville, Tenn., studio and touring circuit recreate the music of Tom Petty and the Heartbreakers. 8 p.m. Aug. 30, 31. Cost: $37 for adults and $13 for ages 2 to 12. “Robert Randolph and the Family Band,” Symphony on the Prairie, Conner Prairie, Fishers. Pedal steel guitar virtuoso Robert Randolph serves as frontman for the funk/soul jam band. Randolph was named on a list of the 100 greatest guitarists by Rolling Stone magazine. 8 p.m. Sept. 1, 2. The heavy metal band from Las Vegas, Five Finger Death Punch, and rock band Breaking Benjamin are joined by Bad Wolves and Nothing More. Brooks and Bourke Theatre Company presents the classic comedy of Elwood P. Dowd and his best friend Harvey, a pooka, who is a 6-foot invisible rabbit.